It looks like it's Android season in Alltel country, because four new handsets have just dropped on the regional provider's network. As of right now, Alltel customers can choose between the Motorola Milestone X - most of us know this one as the Droid X, the LG Axis - a low-end phone with a full slide-out QWERTY, the Samsung Gem - a tiny Froyo starter phone, and the HTC Merge - a mid-range Froyo device with a slide-out QWERTY. Man, Alltel really seems to have a knack for releasing devices much later than competing carriers, doesn't it? 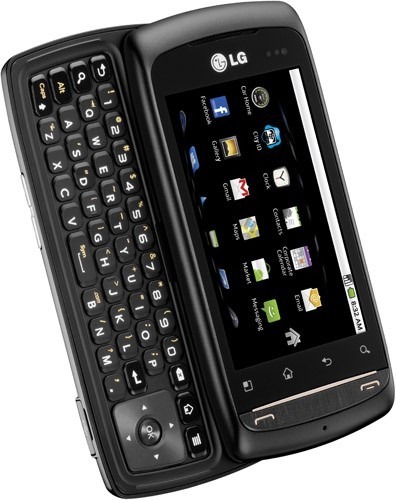 First it was the HTC Hero, then it was the Motorola Milestone, and now it's the LG Axis - essentially the same phone as the LG Ally, which Verizon launched in May of 2010. Considering the fact that the original Motorola Milestone was launched almost a year ago alongside the original Droid, it may seem a bit ridiculous that the device has just now landed in Alltel's measly lineup of Android phones (the only other option is the HTC Hero). Again, that's the original Milestone, not its recently announced successor, which closely mimics the Droid 2, nor a version that, if nothing else, includes a processor upgrade or at least a camera upgrade of some sort, but the original, unmodified, device.